Running a home service business isn’t an easy gig. Between trying your best to provide excellent services to your customers that will leave them satisfied, keeping them coming back, and running a successful profit-making business, it is possible to let one or two things slip by which inevitably leads to losses. But these days you can have it all. You can deliver superb quality service to your customers without stressing yourself and still run your business seamlessly. 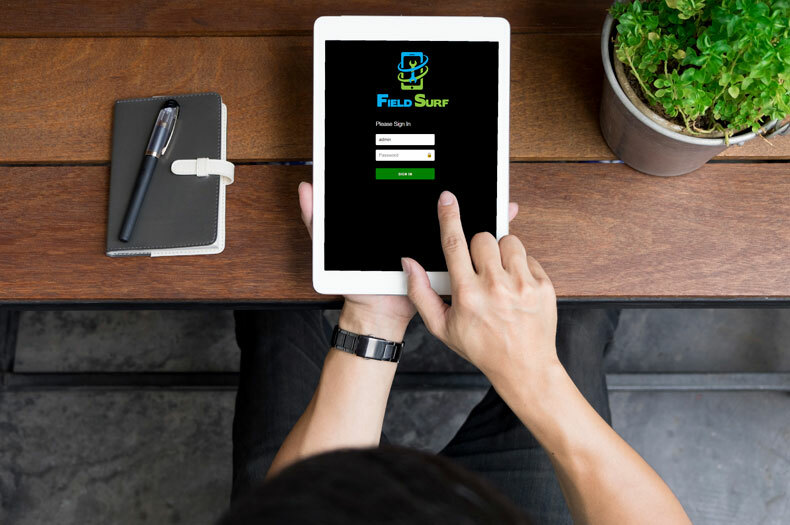 FieldSurf’s home service business software can help you not only manage your home service business and run it effectively but also to improve it, boost sales, and grow larger than you thought possible. FieldSurf is a leading field service management software that helps you smartly manage and run your business so that it not only survives but thrives in whatever niche of the home service industry you have chosen for yourself. Every smart business owner in the home service industry recognizes that the key to improving their business is being successful on the outside with customers in terms of delivering excellent services that will always leave their customers impressed and coming for more. They must also be able to manage their business well on the inside, keeping excellent control over all the details of running their business including effective management of both their human and financial resources. That’s about all you need to run your business and grow it bigger and better. So how can FieldSurf helps you do it? With our state of the art home service business software. FieldSurf is your all-in-one guaranteed tool that helps you win over your customers and keep on winning at home with your staff. It’s the perfect tool for taking control of your home service business if you are finding the entire process of running a profitable business slipping out of your hand and for keeping a tighter grip on the reigns and move your business forward. Using a completely simple and easy to use interface, FieldSurf automates and simplifies every aspect of your business without leaving out any details, and hands over complete control to you so that you can grow at a remarkable pace. FieldSurf helps you take charge of dealings with your Customers. You are able to track and organize every new order that comes in for your services and keep a schedule that is free from clashes and errors so that you never have to ever disappoint a client again due to errors in organization and schedule. With FieldSurf, each work order is nicely and neatly organized electronically and an invoice is prepared automatically with each order. This way, you never have to worry about forgetting to send an invoice and cut time on loads of paperwork that you had to deal with in the past, cutting cost and leaving extra time to do more. When it comes to improving your service delivery, FieldSurf is the perfect tool. Using GPS, FieldSurf keeps an eye on every of your field technicians and lets you know where exactly they are at every point in time. Think about how valuable that can be in delivering quick responses to your customers whenever a new order comes in. You now know where each of your technicians are and you are able to dispatch the most proximally located free staff to the designated location using an SMS function that allows you to communicate with any and all of your staff in real time with all the accurate details of an order. That way you are cutting time wasted in locating and dispatching your techs – talk about working more efficiently. On-site, your techs are positioned to deliver quality service. Using FieldSurf as your company’s time clock, you are aware of your staff’s arrival at a client’s home, when the job is completed, and when the staff leaves. Once the job is done, and your satisfied customer signs on your staff’s mobile device, your prepared electronic invoice is instantly sent to the client. Your technicians can also double as your sales staff, processing payments on the spot with FieldSurf’s mobile credit card swipe option, which allows your customers to make payments as soon as the job is done. You are saving yourself time wasted on paperwork and many possible errors that accompany the process. You keep your staff happy at all times with the automated payroll function that gets rid of all the endless paperwork that you have to do every time payroll comes around. FieldSurf calculates each worker’s payment, based on time spent working for you, including commissions and you can access this information at every period of time during a specific pay period. Need any information about your business, FieldSurf helps you keep everything within your reach with the instant reporting feature; every piece of information you need about your company is made available on the go. You can access sales record, manage inventory, analyze and compare your business performance within a specific period of time. Even accounting information that might take your accounting department days to prepare manually is available on the go (QuickBooks integrated). No waste of time, no paperwork of any sort. With information like this at your disposal, you can strategize and plan the growth and expansion of your business with accurate real-time information and analysis of past performance and record. Usine a home service business software keeps your company organized and automated. This organization is the key to boosting your sales and improving your overall business processes. Your business is optimized and positioned for growth with FieldSurf’s smart features that are completely easy to use and master. It’s a whole new world of opportunities in the home service industry and you should get on board too. To learn more about our home service business software or to schedule a free demo, please click the button below. To view more content you can return to the blog or click the link below to subscribe to our YouTube channel!